Moseley Electronics has been in business since 1976 and has worked with many of Richmond’s top Home Builders for several decades. In working alongside these professionals we have seen trends come and go, but one thing that continues to be on the forefront is technology. RVA Homeowners want their newly constructed home to be equipped to handle all the “smart” technology available today. It makes sense to be proactive and get your home fitted for total control while it is being constructed. Why is it so important to have a company like Moseley Electronics wire your home as opposed to an electrician? The answer is that each trade specializes in what they do. As home automation and media specialists, we know what types of wires and cables are correct for various types of electronics. The sophisticated network of cables and wires act as the brains of your home, so you want it done correctly using the highest quality of cables. Electricians pull wire to run electricity throughout your home, so when you flip a switch the light comes on. Moseley Electronics meets with each customer in the planning stage of initial construction to hear the needs and wants of the homeowner. With the knowledge we gain from the type of technology you want in your home, we will be able to make sure your home is wired with the correct wiring and fiber-optic cables to guarantee your electronics are properly integrated. This is the single most important part of a smart home. If the network doesn’t work, nothing does. 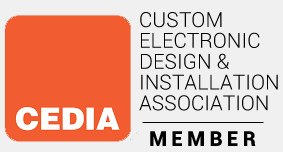 We understand that it takes certain wiring and cables to accomplish this task, and we are committed to making sure each customer knows the quality of work that is going into their home. Lutron’s RadioRA2 can control your lighting system both inside and outside the home (also controls shades). Many people are gravitating to smart thermostats (like Nest), which allows you to control the temperature via App. People want the ability to get notifications from your phone if either the Fire Alarm/Smoke Detector is activated. Cameras, door locks, you name it–these items can be controlled and monitored via your smartphone. You can control your A/V equipment in multiple rooms at your fingertips without having to leave your guests to change the music selection. 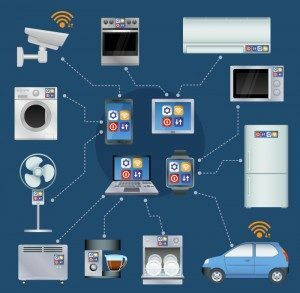 One of the biggest mistakes made by customers and builders is that they put a consumer-grade network system in their home. This is the norm for builders unless you request an upgrade. However, today’s audio and video streaming require a lot of bandwidth. It’s absolutely essential to have an enterprise-grade network system installed because of the bandwidth speed. Since the price of these control systems has come down dramatically in the last several years, a control system can be added to your home at an affordable cost. 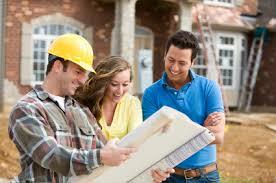 Find out other topics you will want to discuss with your builder here. The problem is confusion. There are so many systems on the market that can control a multitude of things. This is why it is vital to involve a professional to educate you on the different product lines, their features, and have them integrate it all into your home. By having a certified and insured expert, you ensure that your electronics will not be compromised since they are communicating over the best quality cables. 90% of new homes now have a broadband connection (and half of these are dedicated to a home office). 64% of new homeowners want to control their smart home remotely. 48% of new homes include structured wiring. 29% of new homes have monitored security. 17% of new homes are pre-wired for home theater systems. 77% of home builders offer stand-alone surveillance systems to their customers. 67% of home builders offer home automation capabilities to their customers. 64% of home builders offer energy management systems to their customers. The Jetson’s home is no longer a futuristic idea. The reality is it’s here and now. Today’s homes with “smart” features give you total control of electronics. Remember when you got your first TV remote and how mind-boggling it was that you could sit in your chair and change channels? Now, most everything can be controlled via smartphone app. Program and control your home’s locks, cameras, lights, thermostat, audio/visual and many more features from anywhere in the world. Now that is mind boggling! Let us show you how we can make your life easier and your home fun to live in. Call our experts at (804) 379-1348 or schedule an appointment online so you can get started with total home control today.